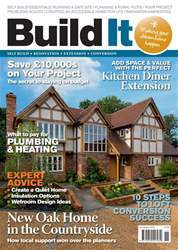 Build It’s virtual Benchmark House was recently costed using the Build It Estimating Service. If you’re just starting out on a self build project, there’s probably one big question at the front of your mind: how much will it cost? After all, this is an opportunity to create a truly bespoke home and you’re understandably going to want to achieve the best design and build quality you can afford, without paying over the odds. The key to achieving this is to draw up an accurate budget and cost plan. Here’s how to get it right. How can I establish a budget? The first step to figuring out how much you have to spend is looking closely at your savings, any equity you have in existing property and investigating what kind of funds you could bring in via a self build mortgage.